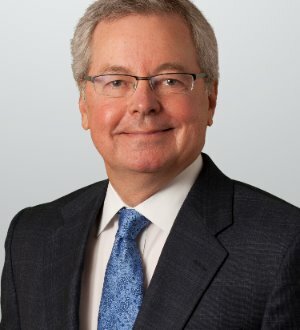 Robert W. Jones is a partner in Holland & Knight's Dallas office and practices in the area of restructuring and bankruptcy. For more than 30 years, Mr. Jones has counseled clients throughout the United States, including secured lenders and other financial institutions, on matters involving distressed debt, debtor-in-possession or exit financing in bankruptcies, the acquisition of companies or assets in a bankruptcy, out-of-court restructurings, bankruptcy litigation and lender liability matters. In addition, he has represented a number of publicly held companies in Chapter 11 proceedings. Those companies have been engaged in a wide range of businesses including financial services, insurance, savings and loan, real estate public and private syndication, construction, casinos, oil and gas, nursing home ownership and management, hardware, and environmental clean-up. Mr. Jones also represents clients in business litigation matters. Mr. Jones has recently obtained new legal precedent before both the U.S. Court of Appeals for the Fifth Circuit and the U.S. Court of Appeals for the Ninth Circuit, including a reconsideration and reversal of previous precedent by the Ninth Circuit sitting en banc. Mr. Jones has published and frequently addressed industry groups on representation of secured lenders in restructurings and bankruptcies, restructuring in the energy industry, representation of troubled financial institutions, and intercreditor restructuring issues. While attending law school, Mr. Jones served as associate managing editor of the Stanford Law Review.